"Fénelon" redirects here. For other uses, see Fénelon (disambiguation). "François de Salignac de la Mothe-Fénelon" redirects here. For the missionary in New France, see François de Salignac de la Mothe-Fénelon (missionary). François de Salignac de la Mothe-Fénelon (French: [də la mɔt fenəlɔ̃]), more commonly known as François Fénelon (6 August 1651 – 7 January 1715), was a French Roman Catholic archbishop, theologian, poet and writer. He today is remembered mostly as the author of The Adventures of Telemachus, first published in 1699. Fénelon's early education was provided in the Château de Fénelon by private tutors, who gave him a thorough grounding in the language and literature of the Greek and Latin classics. In 1663, at age 12, he was sent to the University of Cahors, where he studied rhetoric and philosophy under the influence of the Jesuit ratio studiorum. When the young man expressed interest in a career in the church, his uncle, the Marquis Antoine de Fénelon (a friend of Jean-Jacques Olier and Vincent de Paul) arranged for him to study at the Collège du Plessis in Paris, whose theology students followed the same curriculum as the theology students at the Sorbonne. While there, he became friends with Antoine de Noailles, who later became a cardinal and the Archbishop of Paris. Fénelon demonstrated so much talent at the Collège du Plessis that at age 15, he was asked to give a public sermon. About 1672 (i.e. around the time he was 21 years old), Fénelon's uncle managed to get him enrolled in the Séminaire de Saint-Sulpice, the Sulpician seminary in Paris. In about 1675, (when he would have been 24), Fénelon was ordained as a priest. He initially dreamed of becoming a missionary to the East, but instead, and at the instigation of friends including Bossuet, he preached in Sulpician parishes and performed routine pastoral work as his reputation for eloquence began to grow. During this period, Fénelon had become friends with his future rival Jacques-Bénigne Bossuet. When Louis XIV revoked the Edict of Nantes in 1685, the Church began a campaign to send the greatest orators in the country into the regions of France with the highest concentration of Huguenots to persuade them of the errors of Protestantism. Upon Bossuet's suggestion, Fénelon was included in this group, alongside such oratorical greats as Louis Bourdaloue and Esprit Fléchier. He consequently spent the next three years in the Saintonge region of France preaching to Protestants. 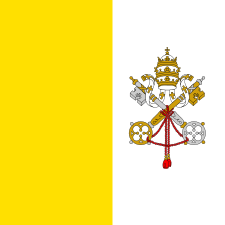 He persuaded the king to remove troops from the region and tried to avoid outright displays of religious oppression, though, in the end, he was willing to resort to force to make Protestants listen to his message. He believed that "to be obliged to do good is always an advantage and that heretics and schismatics, when forced to apply their minds to the consideration of truth, eventually lay aside their erroneous beliefs, whereas they would never have examined these matters had not authority constrained them." Fénelon also became friendly with the Duc de Beauvilliers and the Duc de Chevreuse, who were married to the daughters of Louis XIV's minister of finance Jean-Baptiste Colbert. The Duchesse de Beauvilliers, who was the mother of eight daughters, asked Fénelon his advice on raising children; as a result, he wrote his Traité de l'education des filles. This work is often seen as being somewhat ahead of its time, as it insists that girls should receive a thorough education, particularly in theological matters, so that they will be able to recognize and refute heresies. He also wrote a Treatise on the Existence of God. In 1688, Fénelon first met Jeanne Marie Bouvier de la Motte Guyon, usually known simply as "Mme Guyon" or simply Madame Guyon. At that time, she was being well received in the social circle of the Beauvilliers and Chevreuses. Fénelon and Guyon were cousins; Fénelon was deeply impressed by her piety and actively discipled her. He would later become a devotee and defended her brand of Quietism. In 1689, Louis XIV named Fénelon's friend the Duc de Beauvilliers as governor of the royal grandchildren. Upon Beauvilliers' recommendation, Fénelon was named the tutor of the Dauphin's eldest son, the 7-year-old Duke of Burgundy, who was second in line for the throne. As tutor, Fénelon was charged with guiding the character formation of a future King of France. He wrote several important works specifically to guide his young charge. These include his Fables and his Dialogues des Morts. But by far the most lasting of his works that Fénelon composed for the duke was his Les Aventures de Télémaque [The Adventures of Telemachus, Son of Ulysses], written in 1693–94. On its surface, The Adventures of Telemachus was a novel about Ulysses' son Telemachus. On another level, it became a biting attack on the divine right absolute monarchy which was the dominant ideology of Louis XIV's France. In sharp contrast to Bossuet, who, when tutor to the Dauphin, had written Politique tirée de l'Écriture sainte which affirmed the divine foundations of absolute monarchy while also exhorting the future king to use restraint and wisdom in exercising his absolute power, Fénelon went so far as to write "Good kings are rare and the generality of monarchs bad". French literary historian Jean-Claude Bonnet calls Télémaque "the true key to the museum of the eighteenth century imagination." One of the most popular works of the century, it became an immediate best seller both in France and abroad, going through many editions and translated into every European language and even Latin verse (first in Berlin in 1743, then in Paris by Étienne Viel [1737-87]). It inspired numerous imitations, such as the Abbé Jean Terrasson's novel Sethos (1731), which in turn inspired Mozart's Magic Flute. It also more directly supplied the plot for Mozart's opera, Idomeneo (1781). Most believed Fénelon's tutorship resulted in a dramatic improvement in the young duke's behaviour. 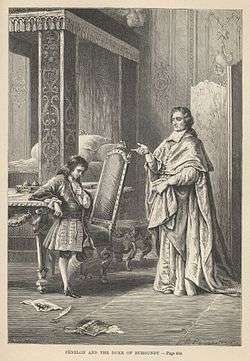 Even the memoirist Louis de Rouvroy, duc de Saint-Simon, who generally disliked Fénelon, admitted that when Fénelon became tutor, the duke was a spoiled, violent child; when Fénelon left him, the duke had learned the lessons of self-control as well as been thoroughly impressed with a sense of his future duties. Telemachus is therefore widely seen as the most thorough exposition of the brand of reformism in the Beauvilliers-Chevreuse circle, which hoped that following Louis XIV's death, his brand of autocracy could be replaced by a monarchy less centralized and less absolute, and with a greater role for aristocrats such as Beauvilliers and Chevreuse. In 1693, Fénelon was elected to Seat 34 of the Académie française. In 1694, the king named Fénelon Abbot of Saint-Valéry, a lucrative post worth 14,000 livres a year. The early- to mid-1690s are significant since it was during this period that Mme de Maintenon (quasi-morganatic wife of Louis XIV since roughly 1684) began to regularly consult Fénelon on matters of conscience. Also, since Fénelon had a reputation as an expert on educating girls, she sought his advice on the house of Saint-Cyr which she was founding for girls. In February 1696, the king nominated Fénelon to become the Archbishop of Cambrai while at the same time asking him to remain in his position as tutor to the duke of Burgundy. Fénelon accepted, and he was consecrated by his old friend Bossuet in August. As already noted, Fénelon had met Mme Guyon in 1688 and became an admirer of her work. In 1697, following a visit by Mme Guyon to Mme de Maintenon's school at Saint-Cyr, Paul Godet des Marais, Bishop of Chartres (Saint-Cyr was located within his diocese) expressed concerns about Mme Guyon's orthodoxy to Mme de Maintenon. The bishop noted that Mme Guyon's opinions bore striking similarities to Miguel de Molinos' Quietism, which Pope Innocent XI condemned in 1687. Mme de Maintenon responded by requesting an ecclesiastical commission to exam Mme Guyon's orthodoxy: the commission consisted of two of Fénelon's old friends, Bossuet and de Noailles, as well as the head of the Sulpician order of which Fénelon was a member. The commission sat at Issy and, after six months of deliberations, delivered its opinion in the Articles d'Issy, 34 articles which briefly condemned certain of Mme Guyon's opinions, as well as set forth a brief exposition of the Catholic view of prayer. Both Fénelon and the Bishop of Chartres signed the articles, as did all three commission members. Mme Guyon immediately submitted to the decision. At Issy, the commission asked Bossuet to follow up the Articles with an exposition. Bossuet thus proceeded to write Instructions sur les états d'oraison, which he submitted to the commission members, as well as to the Bishop of Chartres and Fénelon, requesting their signatures before its publication. Fénelon refused to sign, arguing that Mme Guyon had already admitted her mistakes and there was no point in further condemning her. Furthermore, Fénelon disagreed with Bossuet's interpretation of the Articles d'Issy, as he wrote in Explication des Maximes des Saints (a work often regarded as his masterpiece - English: Maxims of the Saints). Fénelon interpreted the Articles d'Issy in a way much more sympathetic to the Quietist viewpoint than Bossuet proposed. Louis XIV responded to the controversy by chastizing Bossuet for not warning him earlier of Fénelon's opinions and ordered Bossuet, de Noailles, and the Bishop of Chartres to respond to the Maximes des Saints. Shocked that his grandson's tutors held such views, the king removed Fénelon from his post as royal tutor and ordered Fénelon to remain within the boundaries of the archdiocese of Cambrai. This unleashed two years of pamphlet warfare as the two sides traded opinions. 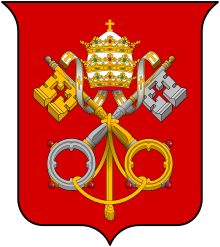 On 12 March 1699, the Inquisition formally condemned the Maximes des Saints, with Pope Innocent XII listing 23 specific propositions as unorthodox. 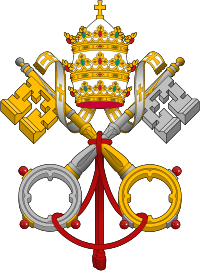 Fénelon immediately declared that he submitted to the pope's authority and set aside his own opinion. With this, the Quietist matter was dropped. However, that same year, The Adventures of Telemachus was published. This book also enraged Louis XIV, for it appeared to question his regime's very foundations. Thus, even after Fénelon abjured his Quietist views, the king refused to revoke his order forbidding Fénelon from leaving his archdiocese. As Archbishop of Cambrai, Fénelon spent most of his time in the archiepiscopal palace, but also spent several months of each year to visiting churches and other institutions within his archdiocese. He preached in his cathedral on festival days, and took an especial interest in seminary training and in examining candidates for the priesthood prior to their ordination. During the War of the Spanish Succession, Spanish troops encamped in his archdiocese (an area France had only recently captured from Spain), but they never interfered with the exercise of his archiepiscopal duties. Warfare, however, produced refugees, and Fénelon opened his palace to refugees fleeing the ongoing conflict. For Fénelon all wars were civil wars. Humanity was a single society and all wars within it the greatest evil, for he argued that one's obligation to mankind as a whole was always greater than what was owed to one's particular country. During these latter years, Fénelon wrote a series of anti-Jansenist works. The impetus was the publication of the Cas de Conscience, which revived the old Jansenist distinction between questions of law and questions of fact, and argued that though the church had the right to condemn certain opinions as heretical, it did not have the right to oblige one to believe that these opinions were actually contained in Cornelius Jansen's Augustinus. The treatises, sermons, and pastoral letters Fénelon wrote in response occupy seven volumes in his collected works. Fénelon particularly condemned Pasquier Quesnel's Réflexions morales sur le Nouveau Testament. His writings contributed to the tide of scholarly opinion which led to Pope Clement XI's 1713 bull Unigenitus, condemning Quesnel's opinions. Although confined to the Cambrai archdiocese in his later years, Fénelon continued to act as a spiritual director for Mme de Maintenon, as well as the ducs de de Chevreuse and de Beauvilliers, the duke of Burgundy, and other prominent individuals. Fénelon's later years were blighted by the deaths of many of his close friends. Shortly before his death, he asked Louis XIV to replace him with a man opposed to Jansenism and loyal to the Sulpician order. He died on 7 January 1715. A people is no less a member of the human race, which is society as a whole, than a family is a member of a particular nation. Each individual owes incomparably more to the human race, which is the great fatherland, than to the particular country in which he was born. As a family is to the nation, so is the nation to the universal commonweal; wherefore it is infinitely more harmful for nation to wrong nation, than for family to wrong family. To abandon the sentiment of humanity is not merely to renounce civilization and to relapse into barbarism, it is to share in the blindness of the most brutish brigands and savages; it is to be a man no longer, but a cannibal." ↑ Louis Cognet, "Fénelon," Dictionnaire de Spiritualité, 5:151. Ed. M. Viller et al. Paris: Beauchesne, 1964. ↑ Chad Helms, ed. and tr., Fénelon: Selected Writings. Classics of Western Spirituality. New York and Mahwah, NJ: Paulist Press, 2006, p. 6f. ↑ Cardinal de Bausset, Histoire de Fenelon, Archevêque de Cambrai, 3rd ed., I, pp. 45f. (Versailles: Lebel, 1817). ↑ La Naissance du Pantheon: Essai sur le culte des grands homes (Paris Fayard, 1998). ↑ Sylvana Tomaselli, "The spirit of nations," in Mark Goldie and Robert Wokler, eds., The Cambridge History of Eighteenth-Century Political Thought (Cambridge: Cambridge University Press, 2006), pp. 9–39. Quote on p. 11. ↑ Paul Hazard, The European Mind, 1680-1715, translated by J. Lewis May (Cleveland Ohio: Meridian Books  , 1967) pp. 282. ↑ Fénelon, Dialogue des Morts, "Socrate et Alcibiade" (1718), quoted in Paul Hazard, The European Mind, 1680-1715 (1967), pp. 282–83. "François de Salignac de la Mothe Fénelon." Encyclopedia of World Biography, 2nd ed. Gale Research, 1998. Sabine Melchior-Bonnet, Fénelon. Paris; Éditions Perrin, 2008. Peter Gorday, François Fénelon, a Biography: The Apostle of Pure Love. Brewster, MA; Paraclete Press, 2012. Christoph Schmitt-Maaß, Stefanie Stockhorst and Doohwan Ahn (eds.). 'Fénelon in the Enlightenment: Traditions, Adaptations, and Variations'. Amsterdam - New York, Rodopi, 2014. Wikimedia Commons has media related to François Fénelon.